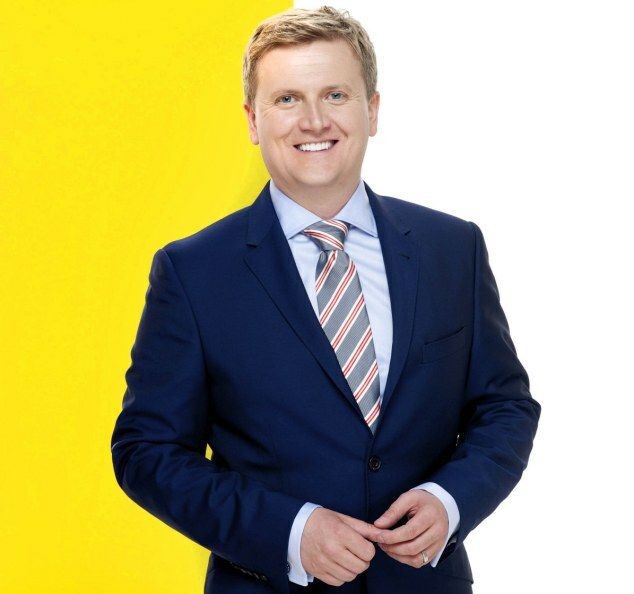 Aled Jones has shed two stone in just four weeks by following a strict juice-only diet, and he revealed his svelte new look last week when he hosted his new ITV show Weekend. The 43 year old TV presenter followed a regime developed by nutritionist Jason Vale, who calls himself “The Juicemaster”. The singer swapped all his meals for juices made from combinations of fresh fruit and vegetables, such as pear with parsnip, and pineapple with beetroot and basil. And rather than having the juices delivered (as many celebrities do), he bought his own juicer and followed the recipes in Vale’s recipe book The 7lbs In 7 Days Super Juice Diet. Aled follows in the footsteps of stars such as Sarah Jessica Parker, Jennifer Aniston, Beverley Knight, Natsasha Hamilton and Carol Vorderman, who’ve all used the book.